Kohl’s is cleverly having us saying yes with a rare opportunity for a brand refresh. The clothing retail giant known by families everywhere for huge savings on shirts, shorts, sandals and more is trying to make the word “yes” a contagious way to engage shoppers. A 60-second ad hopes to inspire shoppers and evoke some emotion. The spot includes romanticized imagery of a variety of possible Kohls shoppers having a great time with the letters that make up their new buzzword- “yes”. A departure from the company’s tried-and-true deal-pushing tactics, the change marks a move towards customers’ hearts instead of their wallets. Shifting from product-based ads to a much more conceptual commercial campaign, the store is redefining its image from the outside in. Another ad in the series shows the point-of-view of a young boy during his first leap off a diving board. Conquering fears, trying new things, and “just going for it” seem to be the new themes that Kohl’s is pushing for. The change comes along with the corporate addition of Michelle Gass as chief customer officer. According to Ad Age, the recently struggling company hopes that pushing their ads towards social platforms will drum up sales. 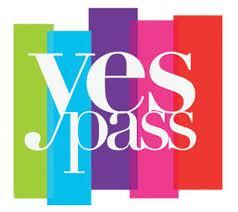 Promoting the hashtag “#FindYourYes”, Kohl’s is encouraging customers to share their “yes” moments with the world. Apparently, as of now it seems the Kohl’s website is saying “no” to the new campaign- the site only features a small bit of “yes” themed graphics in the bottom right corner. Despite the slow change, Gass says, “We want to inspire our customers to find their ‘Yes’ at Kohl’s.” While the ads are emotionally charged and inspiring, the store has not yet defined what exactly a “yes” looks like, but apparently, this mysterious “yes” can be found at a Kohl’s near you. The change comes along with the corporate addition of Michelle Gass as chief customer officer. Talk about a dream trip to Ikea. Oprah would do a whole lotta screaming!